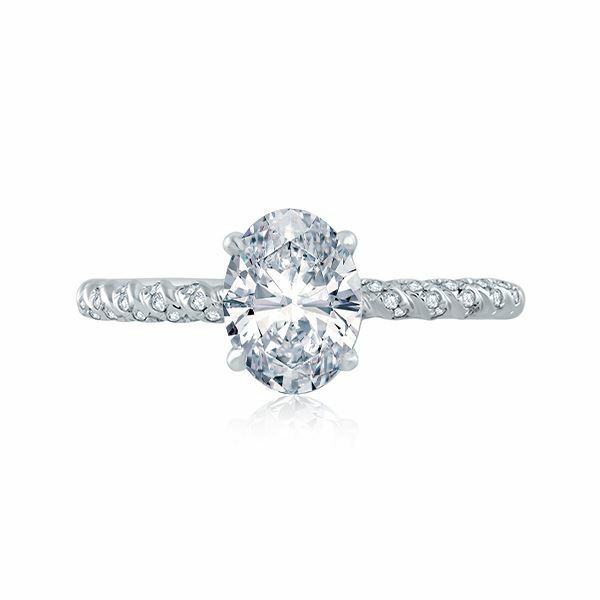 A classic setting with a stylish twist, the Tightly Twisted Diamond Shank Oval Solitaire engagement ring features a coil-like pattern on the band alternating between precious metal and petite diamonds. Ideal for an oval-cut stone, this piece from the Seasons of Love collection offers just the right amount of detail to accompany the center diamond. A sophisticated spiral to house your most cherished gem.